For modern businesses, computer networks are the hub of operations. Without suitable hardware and software solutions, your business cannot hope to maintain the level of efficiency needed to compete. That said, how you run your network is just as important as the infrastructure you have in place. The value of appropriate technical support cannot be overstated, and you really need to engage in monitoring if you want to ensure efficient operations and a good experience for customers. Before you download software or hire just any monitoring firm, however, there are some best practices you should be aware of. Here are just a few things you’ll want to discuss with consulting firms or specialists when choosing network monitoring solutions. Any network monitoring system relies on performance data for average network usage to determine, to an extent, when a network is being used inappropriately, as well as when a data breach is occurring. One of the first things any network IT consultant should discuss with you is a plan for creating a baseline to properly compare usage. In case of a computer security breach that compromises the network, someone will need to be informed so that appropriate action can be taken. You must therefore set up a tiered system of alerts so that your network administrator, affected groups, and executives can be informed as needed. The needs associated with administering and monitoring your network can change over time as your company grows. 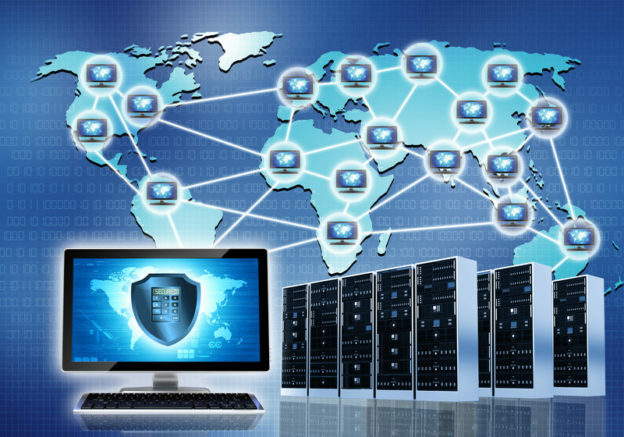 You need to make sure that any network monitoring solutions you choose offers scalability. This allows your monitoring tools to grow with your company, providing you with the protection you need now and in the future. For all intents and purposes, monitoring software and services are meant to inform you of potential issues with your network. However, such services can also help you plan an appropriate response for a variety of scenarios. Most importantly, you need to create a system of backups that you can call into play in the event of a situation where your network is compromised and data is corrupted or even lost. Network monitoring can help you prevent breaches and other abuses, as well as notify you when problems arise. When used appropriately, it can also help you to respond in crisis scenarios. Monitoring your network is a round-the-clock job. While there are certainly software solutions that can assist you with this undertaking, the greatest level of security comes from a service devoted to watching your network so that immediate action can be taken when problems arise.